For those of you who feel that you are actually a diva, but was born into the wrong family and grew up under difficult circumstances without a silver spoon in your mouth, then perhaps the $11.99 Scented Glitter Hairburush might be able to send you into a fantasy world even for a while. 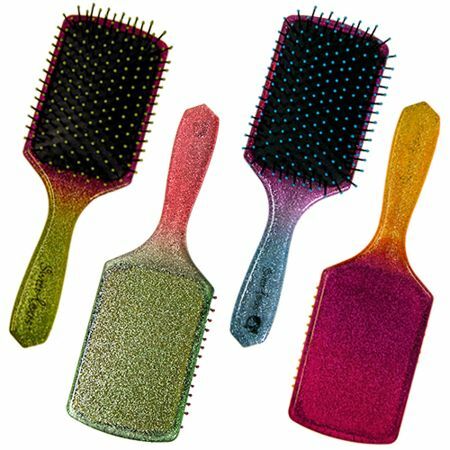 This paddle brush comes with a refreshing smell that is guaranteed to satisfy any kind of sweet cravings out there, and of course, if you’re a LEGO fan, then the glitter paddle is totally awesome to kick start your day. There are four smells to choose from, and they are Cheeky Cherrylime, Wicked Watermelon, Goody Goody Grape Drop and Strawberry Sweetcake. Who knows? It might actually persuade your little one to start brushing her hair!